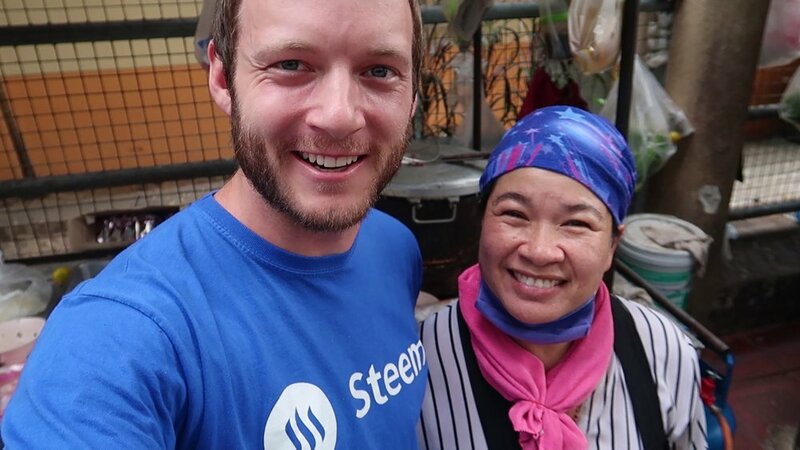 DTube - Eating Pork Blood Soup - Is it the BEST DISH IN BANGKOK?! Bangkok! No doubt, one of the best cities in the world for delicious food. One of the main reasons is for its vast array of street food stalls where you can find almost any Thai dish that is made with specialty and expertise. Because the people making the food have been doing it every day for many years and selling to happy and satisfied customers. My favorite hostel in Bangkok is Lub D Silom because I am good friends with the staff there and we have a lot of fun joking with each other, playing games, and eating food. It's because of the staff here that I was shown what could possibly be the best dish in Bangkok. 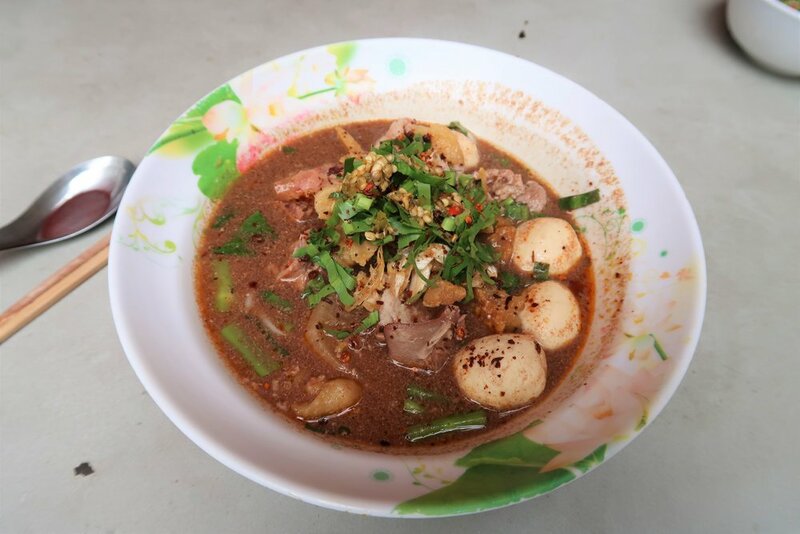 Just one block away from the hostel, in front of Bangkok Union Insurance building, click for location, is a sweet lady named Kanya who makes pork boat noodle soup every weekday lunch hour for the hungry business people that work in the area. The thing about boat noodle (kuay teow moo namtok, which literally translates to pork noodle waterfall) is that they add raw blood to the broth to enrich the flavor. Yep. Raw blood. Just sitting there on the prep table ready to be added to your broth. Yes, you can ask for it to be left our of yours, if you wish. Honestly, the first time I saw it, I didn't want the blood because I was afraid of getting food poisoning or a parasite or something like that. Plus, I'm not a vampire. But the second time I tried it, I braved it out and got it with the blood and my life changed! HOLY UMAMI, Batman! The richness coming from this bowl of noodle soup! I couldn't get enough. And every time I got this stuff it just kept getting better and more addicting. I became convinced it was my favorite meal in Bangkok, even after eating delicious tom yum and green curry which are also my favorite Thai dishes. Nothing else was quite matching the flavor level of Kanya's boat noodle. I don't know what she puts in her soup but it's probably crack cocaine or something like that. Clever lady. If you're in Bangkok, you have to try this for yourself, otherwise you'll never believe me. When you do, report back to me and tell me if you've had a better dish than this in Bangkok, because I'd sure like to know about it and investigate for myself. Would you be brave enough to try blood noodle soup?